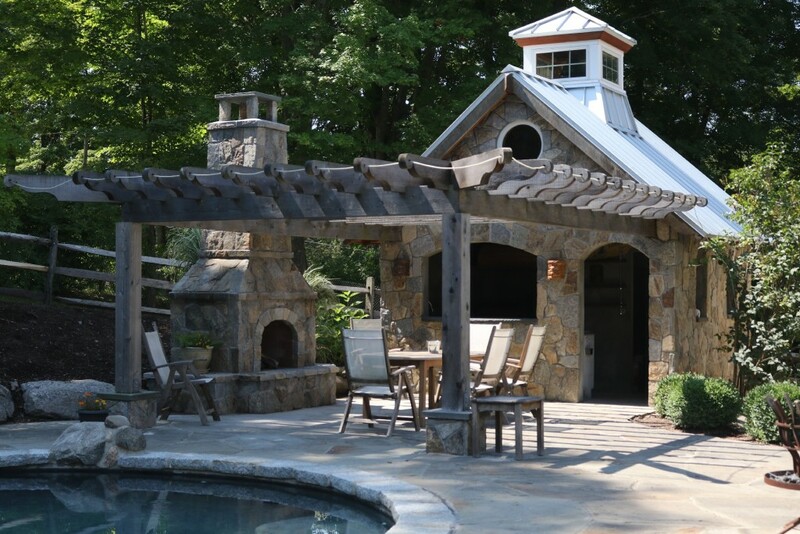 We’re excited to share pictures of this great outdoor space created by Sterling Associates and Landscape Unlimited, right here in Newtown, CT! 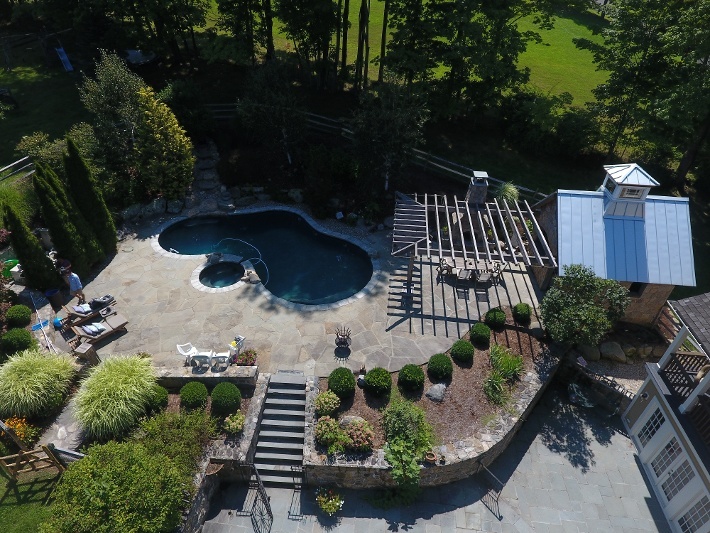 The homeowner built their pool roughly 8 years ago, but wanted to add an outdoor entertaining area to keep the family out of the house and by the pool! 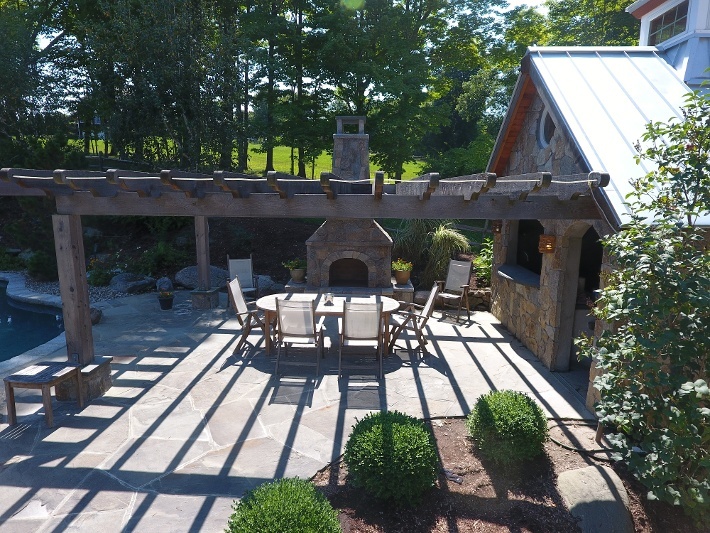 To do this they added a bathroom with a shower, an outdoor kitchen/bar area, pergola, and our outdoor stone fireplace. 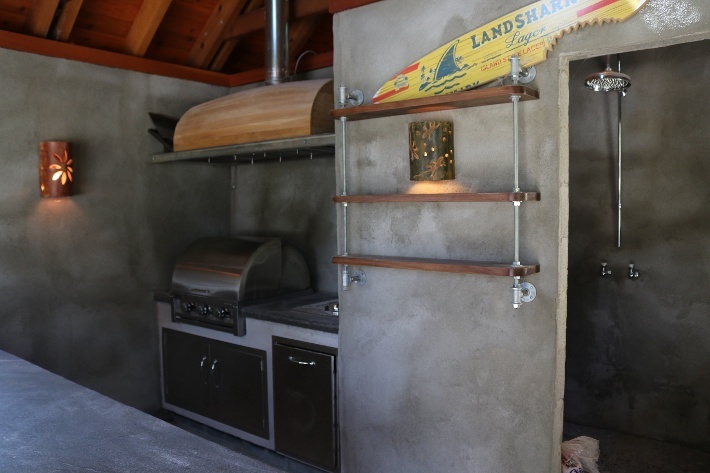 Together, the outdoor living space was transformed.